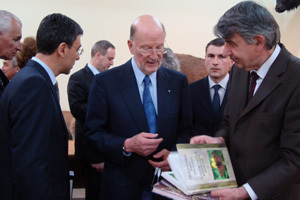 On 29 April 2009 NMSII Leader Simeon Saxe-Coburg-Gotha and Vice-Premier and Minister of Education and Science Daniel Valchev visited the National Museum of Natural History at the Bulgarian Academy of Sciences by reason of 120th Anniversary of the founding of the museum. The Bulgarian Academy of Sciences was represented by BAS President Nikola Sabotinov, BAS Vice-President Alexander Popov, Vice-Chairman of the National Assembly and the former NMNHS Director Dr Petar Beron, Director of Institute of Zoology Prof. DSc Paraskeva Michailova, etc. 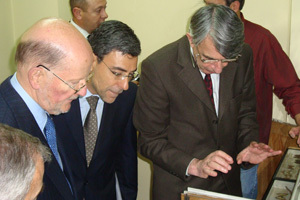 The Ministry of Education and Science was represented by Prof. DSc Anastas Gerdjikov, Director of the National Research Fund. 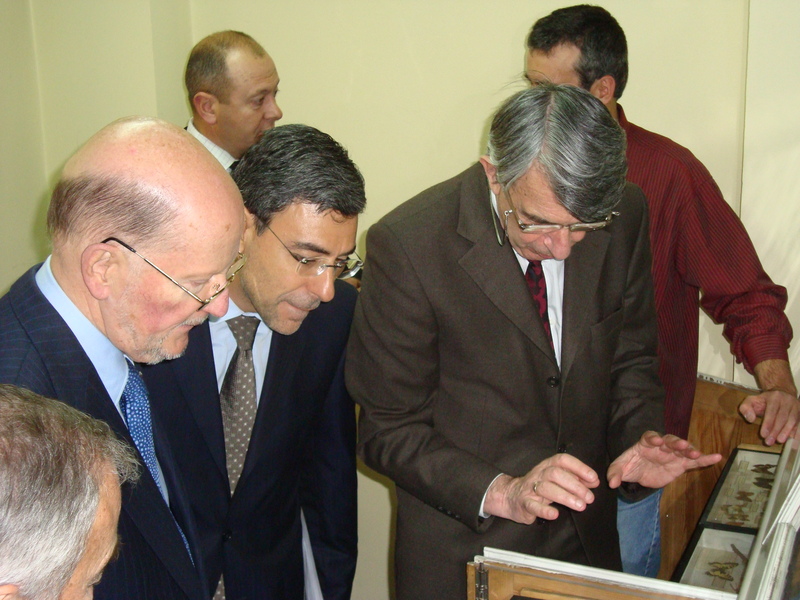 Associate Professor Dr Alexi Popov, NMNHS Director, informed the visitors of the history of the biggest museum in Bulgaria and familiarised them with some of the major achievements of the institution in the last years, giving prominence to the museum's scientific accomplishments, educational, popularisation and environment protection activities, scientific collections and international initiatives. 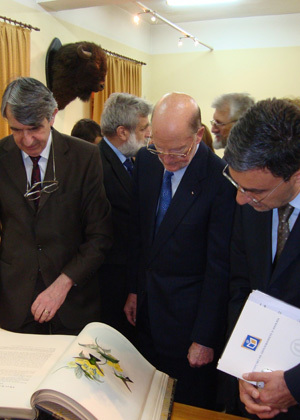 The visitors were shown the permanent exposition of the museum with a particular emphasis on the valuable exhibits of extinct and rare bird and reptile species. Especially interesting was the Royal butterfly collection, amounting to approximately 8000 specimens, and the butterflies caught by Simeon Saxe-Coburg-Gotha in his childhood. 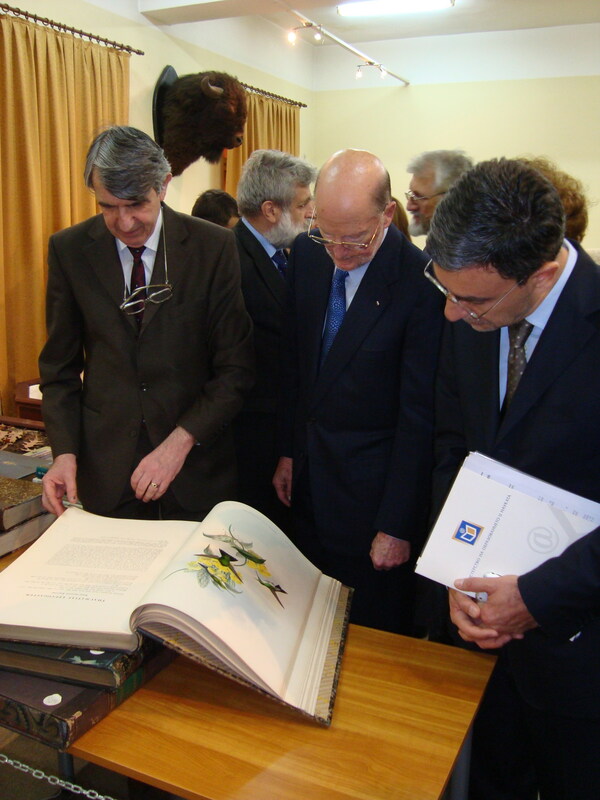 Dr Popov showed the visitors the first catalogue of scientific collections, water colours and books with wonderful bird drawings from King Ferdinand's library, and sculptures presented to the royal family. A meeting organised between Minister Daniel Valchev and BAS managers discussed the main priorities of the scientific and educational activities of the museum and some of the problems connected with insufficient exposition area, lack of funding for research and shortage of personnel. The Minister of Education and Science stated his willingness to assist the work of NMNHS with concrete help on behalf of the anniversary and presented the museum with a new photocopier as a first step in this direction. 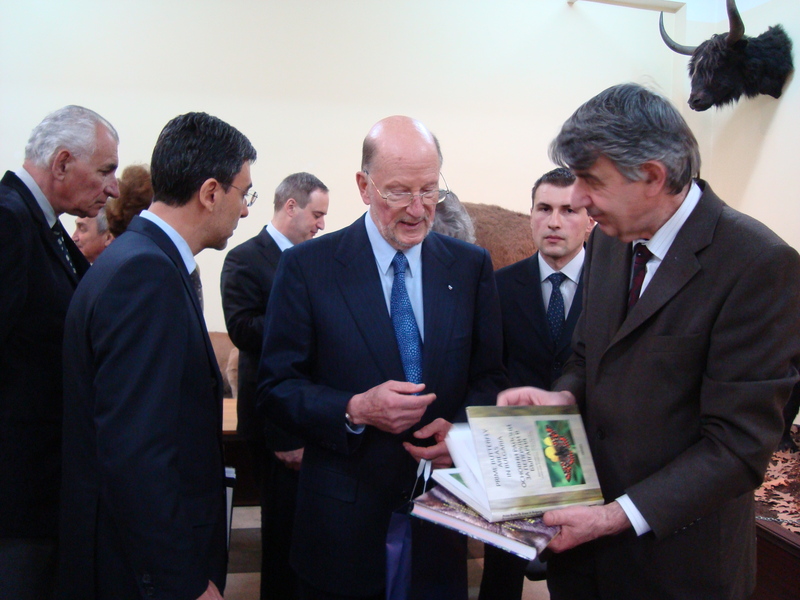 Dr Popov gave the visitors the latest books on threatened butterflies and mammals in Bulgaria.